Charles Sargeant Jagger, the eldest son of Enoch Jagger, a colliery manager, was born in Kilnhurst, South Yorkshire on 17th December, 1885. He left school aged fourteen to learn the craft of engraving on silver with the Sheffield firm of Mappin and Webb. He also studied at the Sheffield School of Art in the evenings. In 1907 Jagger he won a scholarship to the Royal College of Art, South Kensington. According to Ann Compton: "After four years there as student and assistant to Professor Edward Lantéri, a travelling bursary enabled him to study for some months in Rome and Venice." In 1914 he won the Rome scholarship in sculpture. However, on the outbreak of the First World War he decided to to enlist in the Artists' Rifles instead. Other members of the regiment included Edgell Rickword, Bert Thomas, Barnes Wallis, Edward Thomas, Paul Nash, John Nash and John Lavery. In 1915 Jagger was awarded a commission in the 4th battalion of the Worcestershire Regiment and was sent to Gallipoli. 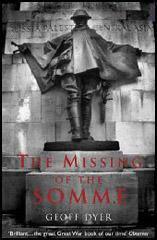 Later he was transferred to the 2nd battalion on the Western Front. He was wounded and while recovering in England he married Violet Constance Smith. Jagger returned to the front-line and was awarded the Military Cross. He was also gassed and wounded and once again he received medical treatment in England. 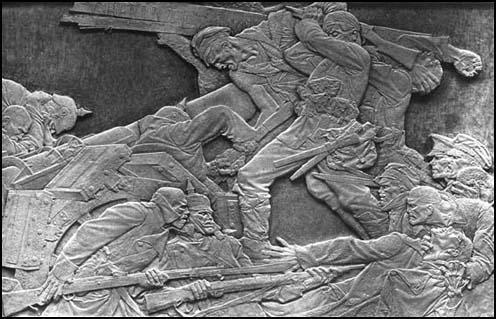 Instead of being sent back to France, Jagger was commissioned by the British War Memorials Committee to produce a large relief, entitled the First Battle of Ypres. After the war Jagger established a studio in South Kensington. His work was dominated by his experience in the trenches and in 1923 he produced the relief, No Man's Land. After being cast in bronze it was presented to the Tate Gallery in 1923. Jagger's next major work was Tommy and Humanity. According to his biographer: "The bold modelling of the Tommy, combined with the energy and strength the figure conveyed, was an outstanding achievement. The expressiveness of this work was an instant success at the Royal Academy, where it was exhibited in 1921, and resulted in many more commissions." Jagger admitted that his art reflected the admiration he felt for the work of Alfred Gilbert and Auguste Rodin. Over the next seven years Jagger completed war memorials in Manchester (1921); Southsea (1921); Bedford (1921); Great Western Railway War Memorial (1922); Brimington (1922); Royal Artillery Memorial (1921–5); Anglo-Belgian War Memorial (1922–3); Nieuwpoort (1926–8); Cambrai (1927–8); and Port Tawfiq (1927–8). During this period Charles Jagger produced statues of the Duke of Windsor (1922), Lord Hardinge (1928) and Ernest Shackleton (1932). Alfred Mond, the founder of Imperial Chemical Industries, commissioned four large stone figures symbolic of industries for the company headquarters in Millbank. 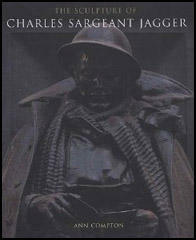 Charles Sargeant Jagger died of pneumonia at his home, 67 Albert Bridge Road, Battersea, on 16th November 1934.